For sourcing of clean scrap, we have strong tie-ups with scrap processing yards located in Russia, Canada, USA, Europe and South Africa. In order to ensure high quality, each scrap lot is handpicked and loaded under personal supervision of our team members. 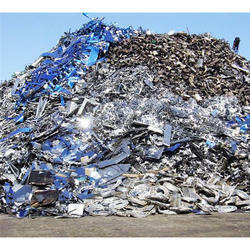 The company is engaged in producing, manufacturing and supplying of scrap and waste of ferrous metals. We offer a vast range of Industrial Scraps and metal wastes from the milling and metallurgical industries. We are one of the eminent names engaged in trading, manufacturing and importing of an exhaustive range of Ferrous Metal Scrap. Manufactured using high quality material, these are widely appreciated among our clients across the nation. Designed in compliance with international quality standards. 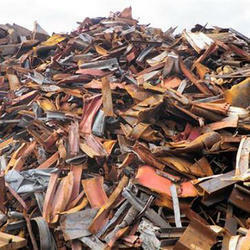 Catering to the requirements of our clients, we are into offering Ferrous Metal Scrap. We, at 'Avadhi Enterprises', trade and supply an extensive array of Ferrous Metal Scrap, that are made from premium quality raw material. Our vendors manufacture these with latest technology and machinery. In ferro alloys, we can also avail ferro silicon, ferro chrome) nickel alloy, ferro manganese and others to our clients. Our firm is one of the most reputed name in providing a wide range of Ferrous Metal Scrap to our clients. Owing to the attributes like durability, rust resistance and superior quality, our scraps are used in assorted industries such as automotive, electrical, aerospace and engineering. We are engaged in providing superior quality Ferrous Metal Scraps to our most reliable clients. Available in various sizes as per the varied requirements of clients, these are stringently tested on various parameters. These scraps are acknowledged for precise composition, smooth functioning, high tensile strength etc.